Located less than 5 minutes from both communities. Sandia Peak is only 15-minutes away and Santa Fe Skiing is about an hour away. You can cycle in the communities with ease since there are over 25 miles of paved roads with low traffic counts. 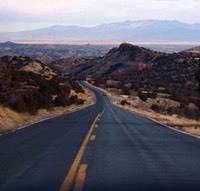 Turquoise Trail (Hwy 14) is known as the scenic byway to Santa Fe. It starts in Tijeras and you travel right past our communities on the way to Santa Fe. 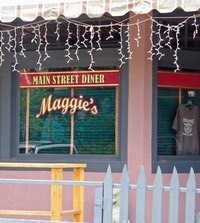 Located about 14 miles north from the properties, this is home of the Maggies Diner featured in the Wild Hogs movie. You can enjoy hiking in your very own 625-acre nature preserve combined with the Golden Open Space (1200-acres) where you will find the San Pedro Creek bottom and vast red-rock canyons. Additionally, you will have very close access to more than 37,000 acres of open space in the Cibola National Forest. Take a small journey to the north in Cerrillos and hike or site see at the Cerrillos Hills Historic Park. 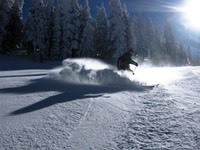 Within the Cibola National Forest you can Ski and the Sandia Peak Ski Area only 15 minutes away. Golfer? Paa-ko Ridge is a breathtaking course designed by the award-winning Ken Dye which offers world class golfing just 3 minutes away. Ranked nationally by Golf Digest in the top 100 greatest public golf courses. 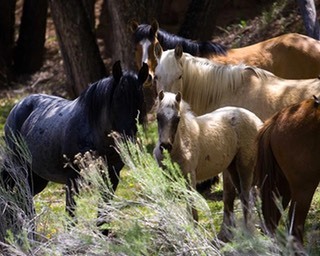 Check out horseback riding Broken Saddle Riding a bit further north in Cerrillos along Turquoise Trail or travel south on highway 14 to Cedar Crest Stables. Another one in Cedar Crest: Wind Song Dressage and Equestrian Center. Triangle Grocery, in Cedar Crest expanded a few years ago to include a full service store located about 10 minutes from the communities. Greenside Cafe Casual dining with the finer dining cuisine. This is new and the reviews are excellent for healthy and creative dishes from Chef Jay. Also check out their beer and wine menu. Los Cuates Good old fashion authentic Mexican food just south of communities. Ribs Bar-B-Q The have been doing BBQ right for more than 30 years. Chinas Best Restaurant World of fine Szechuan, Hunan and Cantonese cuisine. Lizard Grill Enjoy a sandwich or pizza and beer at this casual dining spot. Cedar Point Grill Home cooking in a cabin setting. Burger Boy A local favorite for a home cooked juicy green chili burger. The Grill at Paa-ko Ridge Enjoy casual breakfast, lunch, or dinner during the golf season overlooking the incredible golf greens. Subway We all know that one... Eat Fresh. Located in now in Tijeras. Madrid, NM Situated along Turquoise Trail about 13 miles north from the properties. This is an old mining town turned tourist trap with art and unique shops, lodging and dining. The movie Wild Hogs was filmed here in 2005. Elaine's Bed and Breakfast This is the closest B&B to the communities. Angel Ascent Bed and Breakfast This location has a wonderful Day Spa and Wellness Center. High Feather Ranch Located 2 miles Northeast of Madrid off County Road 55. San Antonito Elementary School This school is for K-5 and is located about 7 minutes from the communities. Ranked in top 10 schools in New Mexico. Roosevelt Middle School Located about 15 minutes from the communities for grades 6-8. Prince of Peace Lutheran Church School Located about 10 minutes from the community and it is a private school for Preschool - 8th. East Mountain High School This is a charter public school for grades 9-12 and is about 7 minutes away. You must apply for seating at this school. Ranked as Best High School for education by US News. Visit Turquoise Trail official site for in in depth tour along this magnificant scenic byway. Neighborhood Insurance Agent: Sunset Insurance -Owned and operated by a San Pedro Creek Resident you can trust. 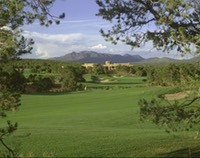 Visit Sandia-Park.com for more local business information. Sandoval County is where the communities are located.